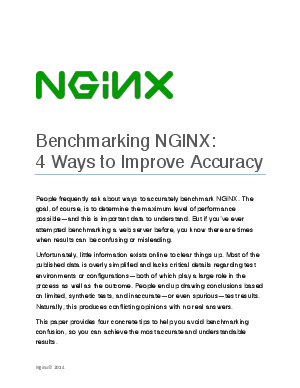 If you’ve ever attempted benchmarking web applications before, you know there are times when results can be confusing or misleading. The goal with the benchmark is to understand how your web application behaves when faced with a growing and non-uniform load from real users. Learn four concrete tips to help you avoid benchmarking confusion and understand how to approach benchmarks in order to help you achieve the most accurate and understandable results.